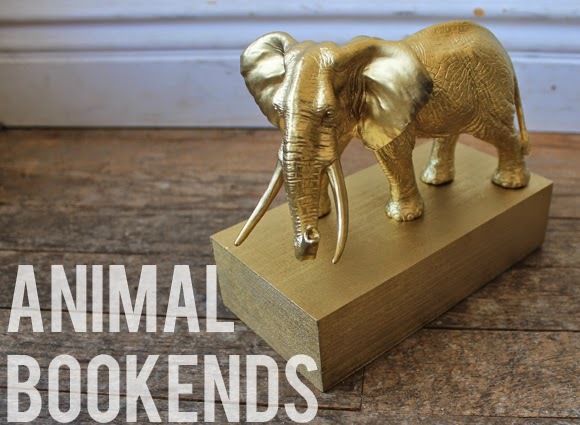 less is more: animal bookends. I saw these bookends on pinterest from the pottery barn teen website (no longer available), and I remember that they were at least $40. So I pinned them to my DIY board because I knew that I could make them, and they wouldn't have to be blue, and they wouldn't have to be be dogs. And then with the whole, "I'm going to spray paint everything gold and buy all of the plastic elephants the world has made" phase of my life (which may still be ongoing, stay tuned), I remembered this pin from long ago and decided to get cracking (because Lord knows I have more books than I know what to do with). This was a super easy project that involved only spray painting both the wooden blocks (from Michaels) and elephants (from Amazon), then gluing the elephants down to the wood once everything was dry. I had to spray paint the wood twice, only because I didn't like the coverage the first time around, but the ellies were good with one coat. I left everything outside for about 45 minutes because it would have smelled absolutely awful if they came inside before then. I'm really happy with them though, and they'll come with me when I move to make my shelves and books look a little more put together. 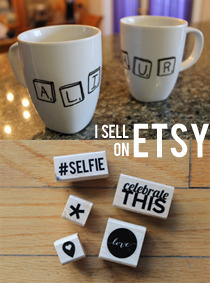 They are also definitely something I'd consider making as a housewarming gift for someone else, or just for a book lover like me.